With the adoption of a gambling ban in 2009, the number of gambling addicts has fallen, yet serious gambling disorders have become more common, psychiatrists say. A St. Petersburg clinic will open to offer round-the-clock assistance to compulsive gamblers in different stages of the addiction, which is often linked to heavy drug and alcohol use. St. Petersburg-based Bekhterev Psychoneurological Research Institute plans to open a 24-hour clinic for gamblers. Compulsive gamblers are, as a rule, treated in the same hospital units with alcoholics and drug addicts. However, despite some common features, gamblers require psychological help rather than medication. Therefore, a 24-hour clinic for such patients should help improve the quality of assistance available to gamblers. 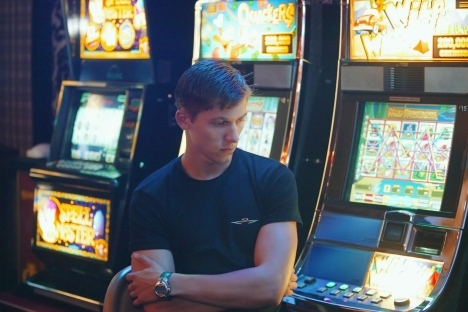 Specialists at the clinic believe that there are too many teenagers and young people suffering from compulsive gambling in St. Petersburg and all of Russia. They cannot, however, provide precise numbers, because gamblers hardly ever seek help. Unlike drug addicts and alcoholics, compulsive gamblers suffer from no side effects. Thus, it is easier for them to deceive both themselves and their loved ones by pretending that everything is under control. Even when the devastating consequences become obvious — which primarily affect the gambler’s finances — it is the gambler’s friends and relatives that take him or her to a doctor. Well-known psychiatrist Albert Mukminov, based in St. Petersburg, believes that the people with a gambling problem go through three phases: first, they play for money and try to recover their losses; then they are fascinated by the process itself, and the game becomes the only source of joy in their lives; third comes the disintegration of personality. Gambling is often combined with alcoholism and drug addiction. As a rule, people go to specialists when they are still capable of critically assessing the situation — that is, during phase two. According to him, when gambling was banned by a federal law in July 2009, the number of compulsive gamblers fell, but more people with severe gambling problems started seeking help — the ones that were not afraid of taking the risks of looking for underground casinos. Additionally, computer games are considered a variety of compulsive gambling. Specialists insist that the core audience of online games is people under 30, and they, too, spend heavily on their addiction, buying gadgets to become more effective. First published in Russian, in the Izvestia newspaper.